Works with all of the OCF front bumper configurations. 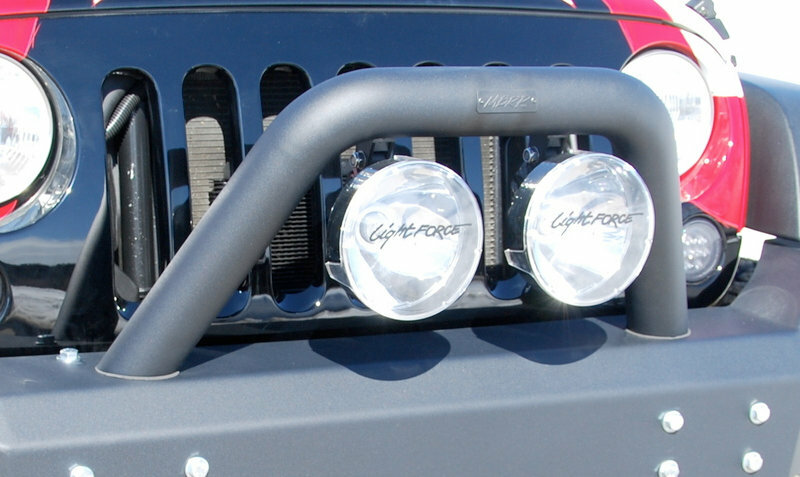 All bumper are pre drilled to accept this Light Bar/Grill Guard with no drilling necessary. Will work with winch and non winch bumpers. Durable steel construction. Heavy duty LINE-X coat finish to ensure good looks with years of abuse. Accepts up to two 8 off road lights. Can be installed on other brand name bumpers.